Espaaniyah was a $750,000 yearling and Bott and jockey Tim Clark have predicted bigger things are in store for her after her all-the-way win in Saturday’s $500,000 race. The stable won last year’s Inglis Banner (1000m) with Setsuna who went on to win a stakes race during the Melbourne Cup carnival, and that is an immediate option for Espaaniyah. “The Golden Slipper horses produce themselves before Christmas and you can’t ask for much more of a better performance than that today,” Bott said. 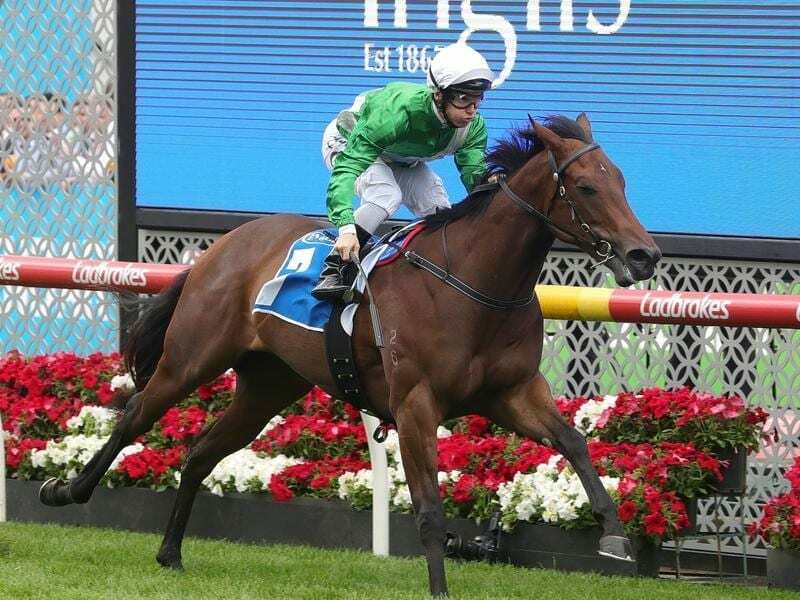 “I know it’s a restricted race today, being a sales’ race, but her quality is right up there. “She’s one of the more precocious two-year-olds that we’ve got. “I think she’s got a really bright future. I really like her a lot,” he said.